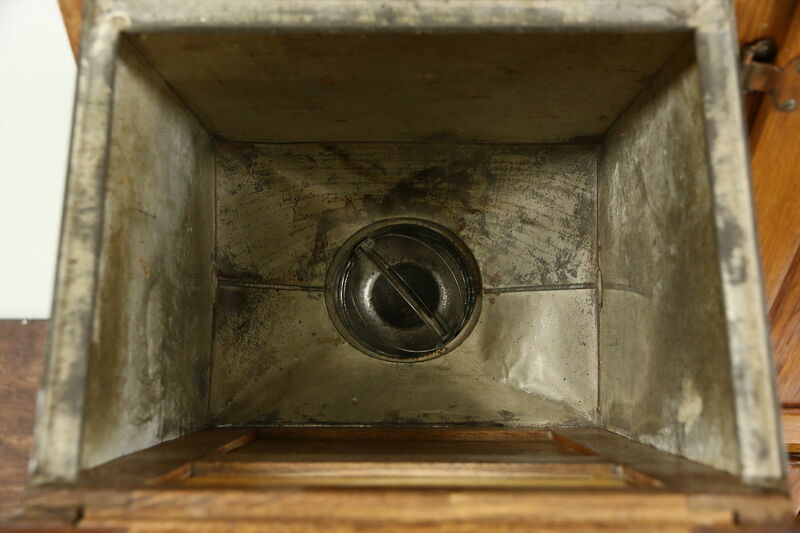 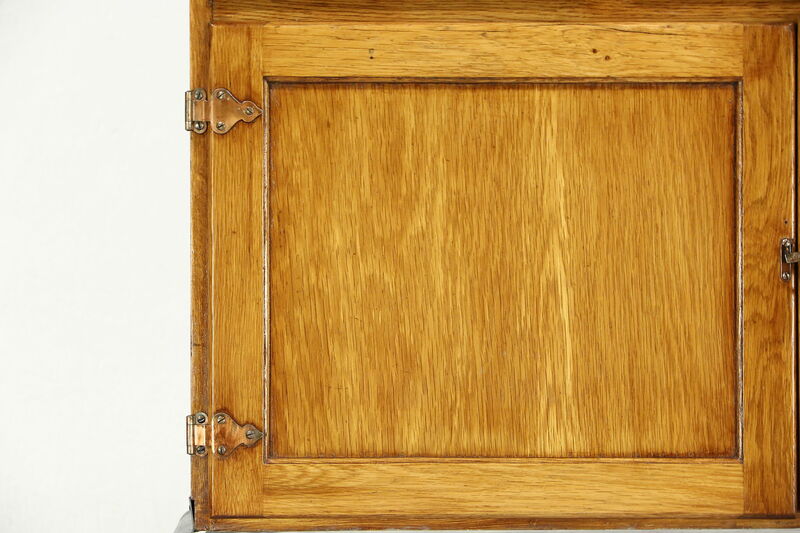 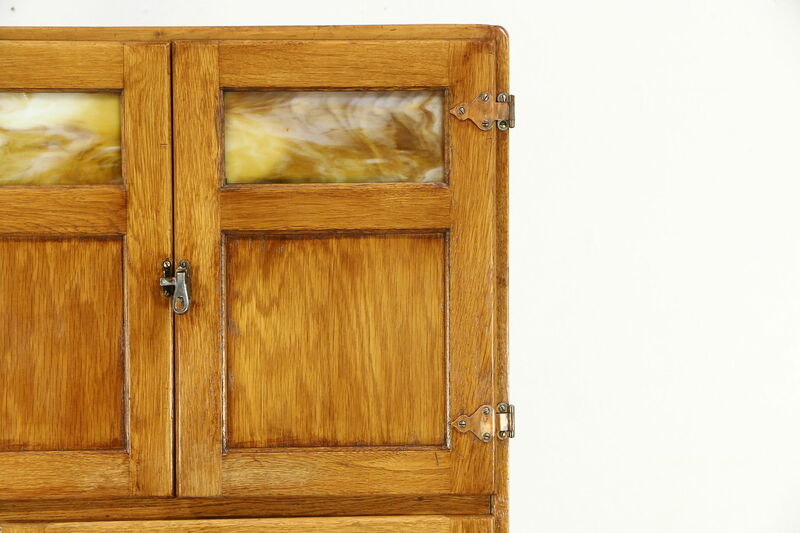 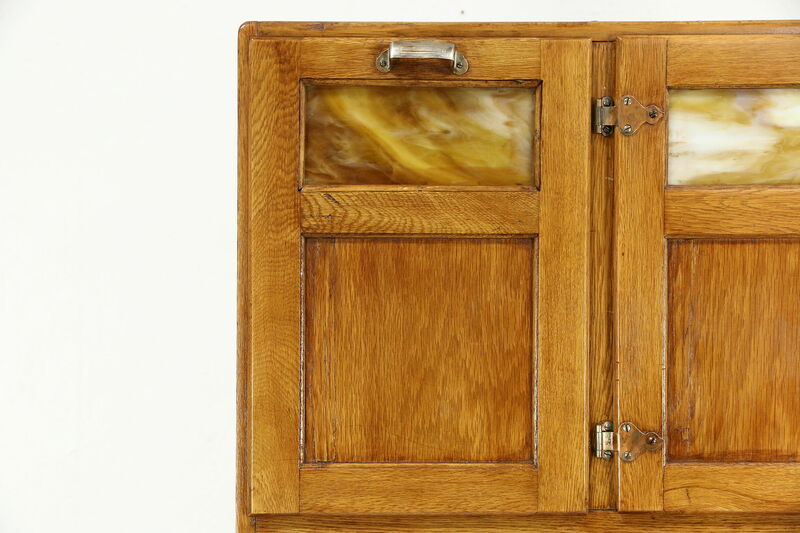 A "Hoosier" pantry cupboard was named because most were made in Indiana. 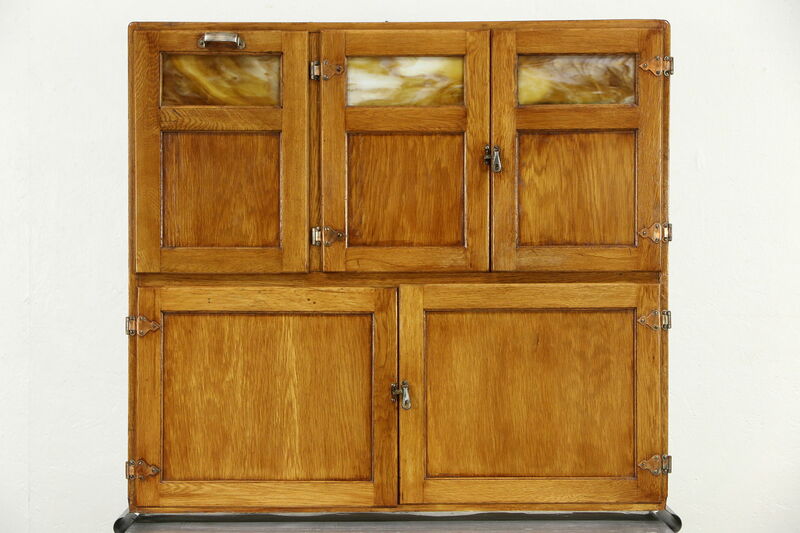 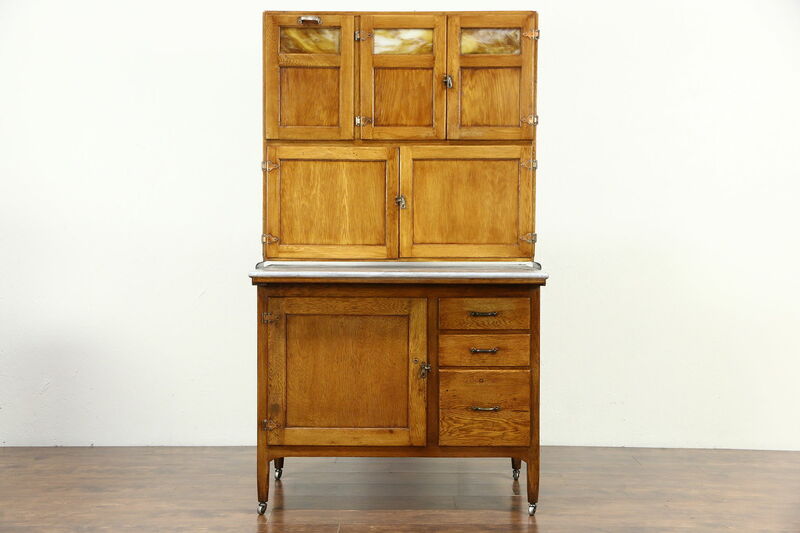 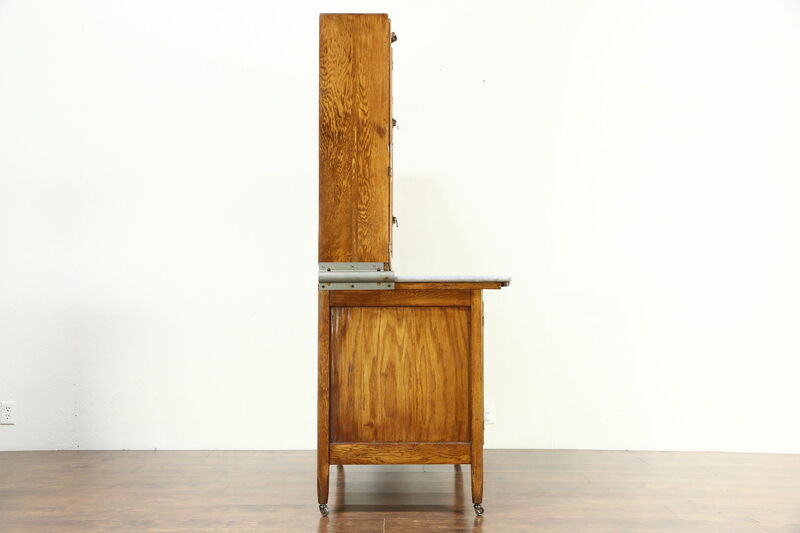 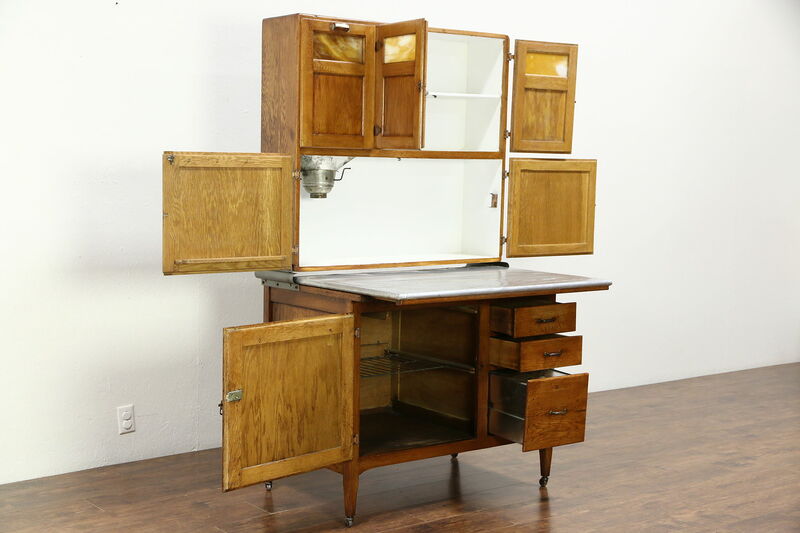 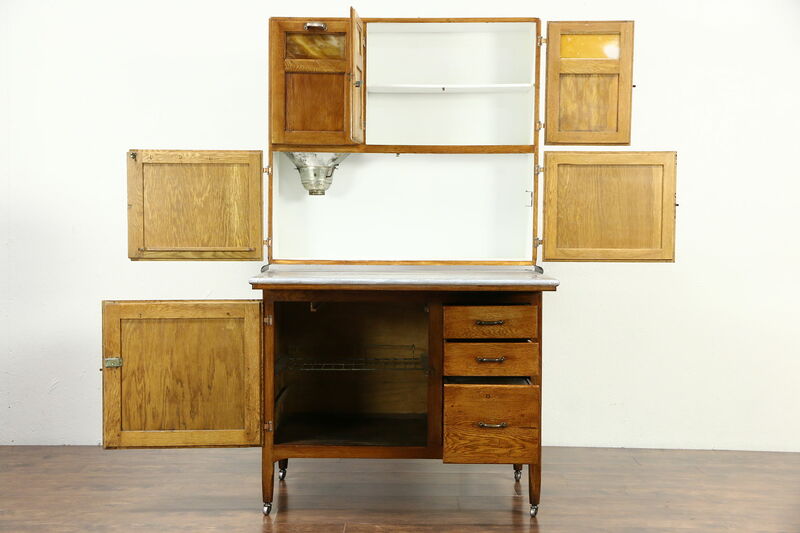 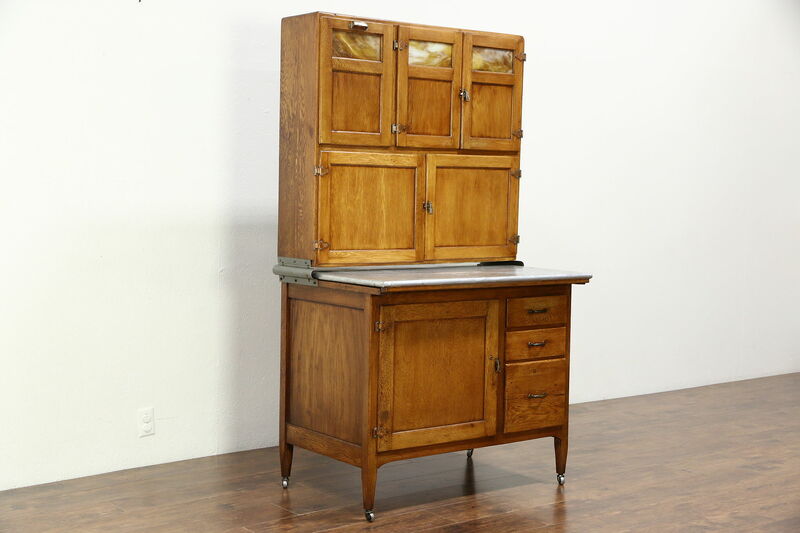 This kitchen furniture is oak with stained glass door panels, a flour sifter and zinc pull out working surface. 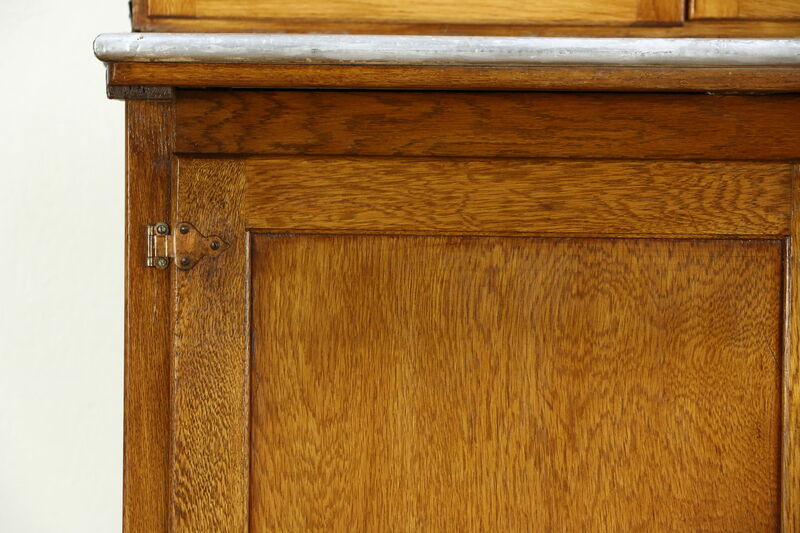 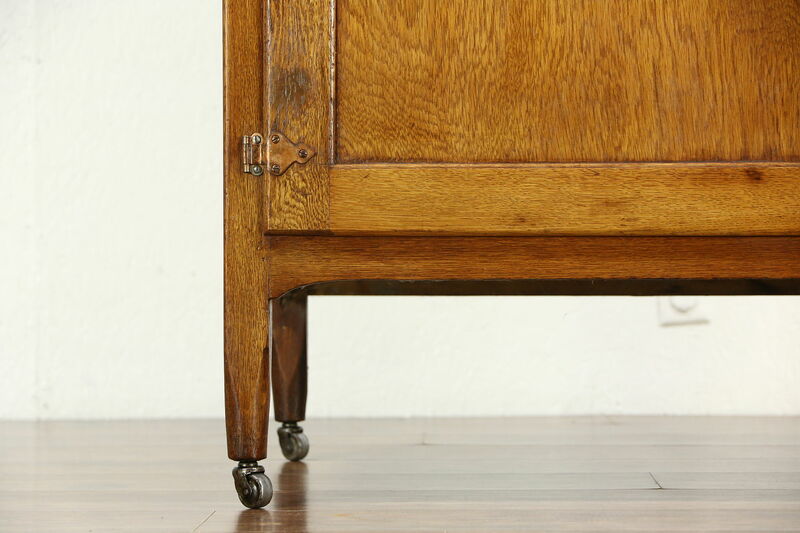 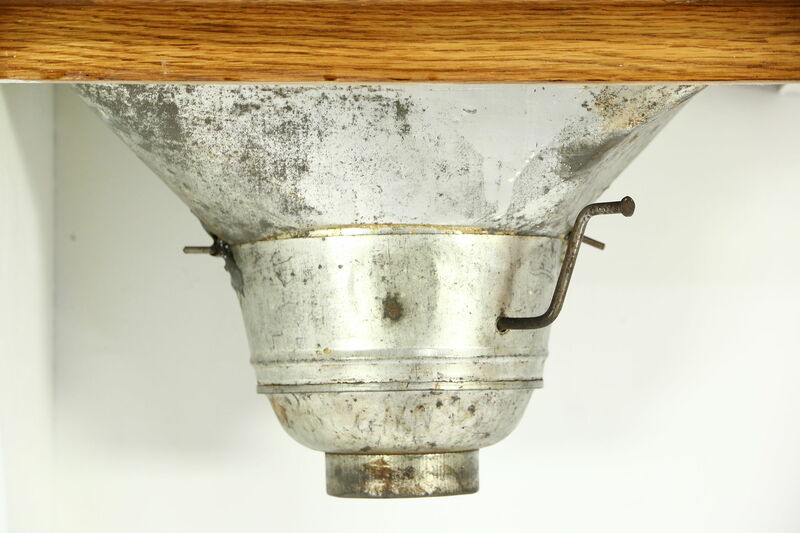 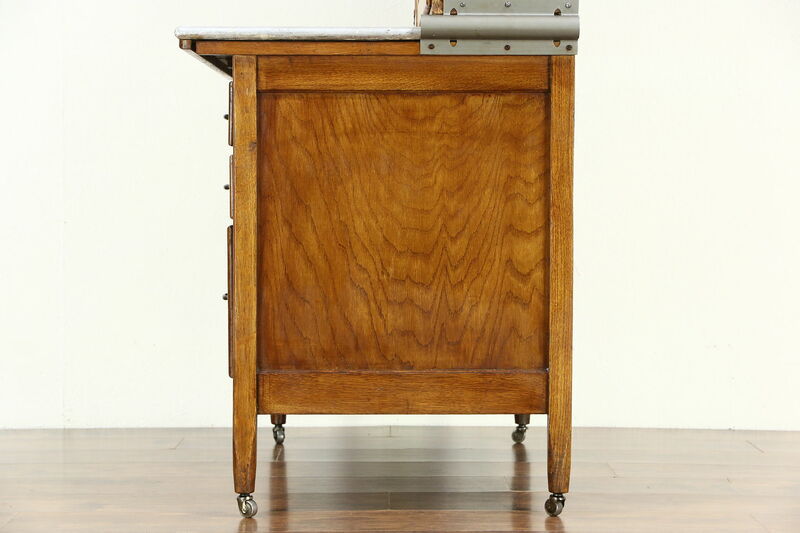 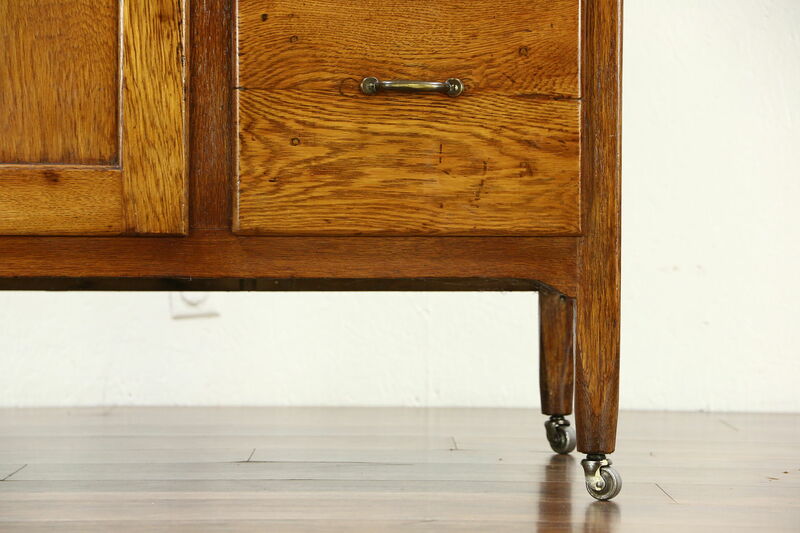 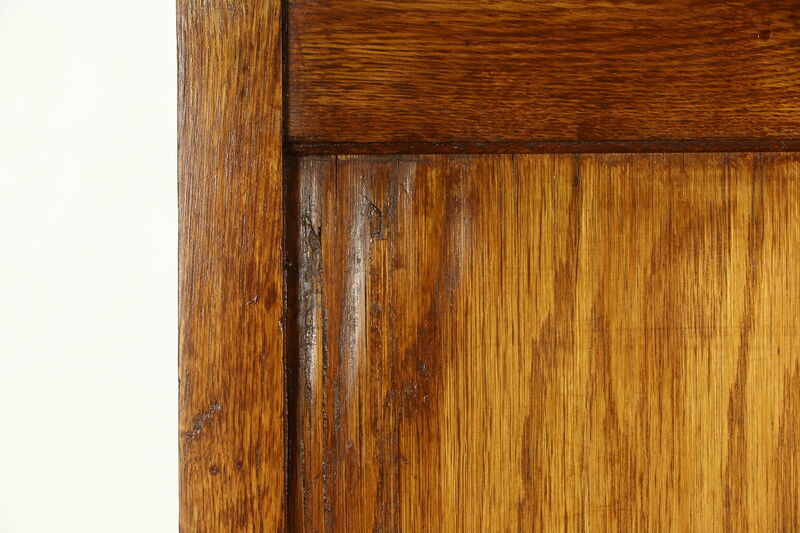 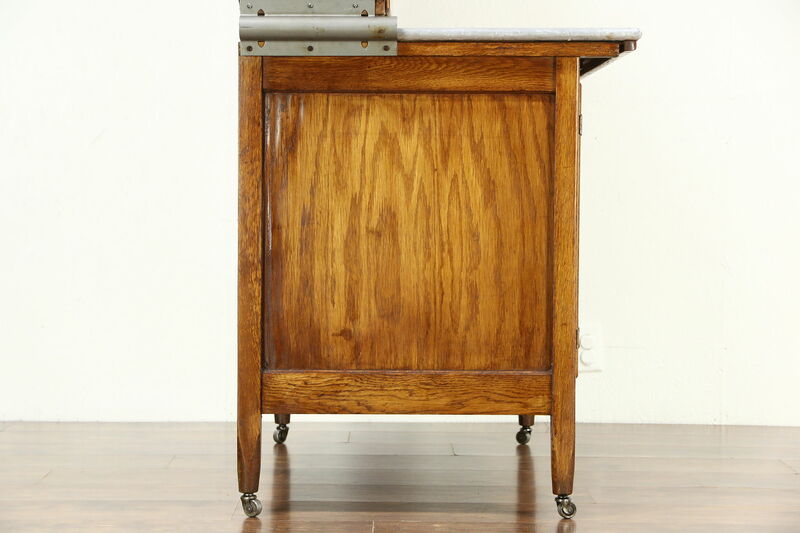 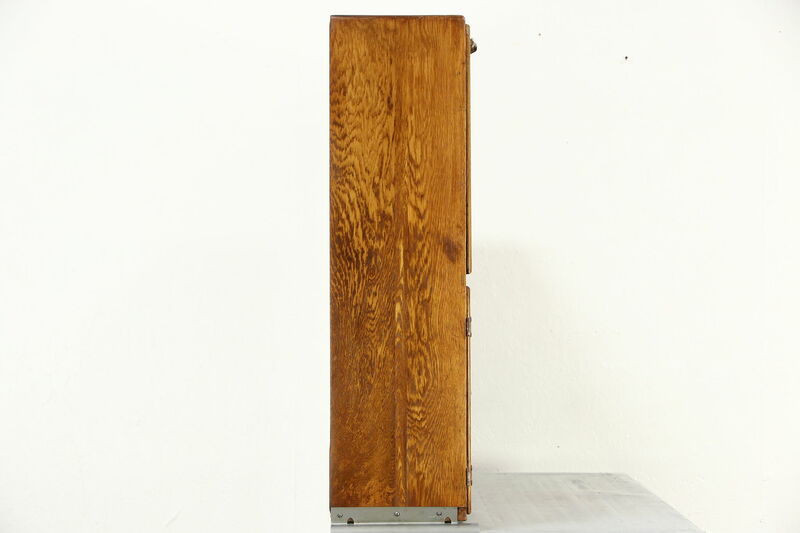 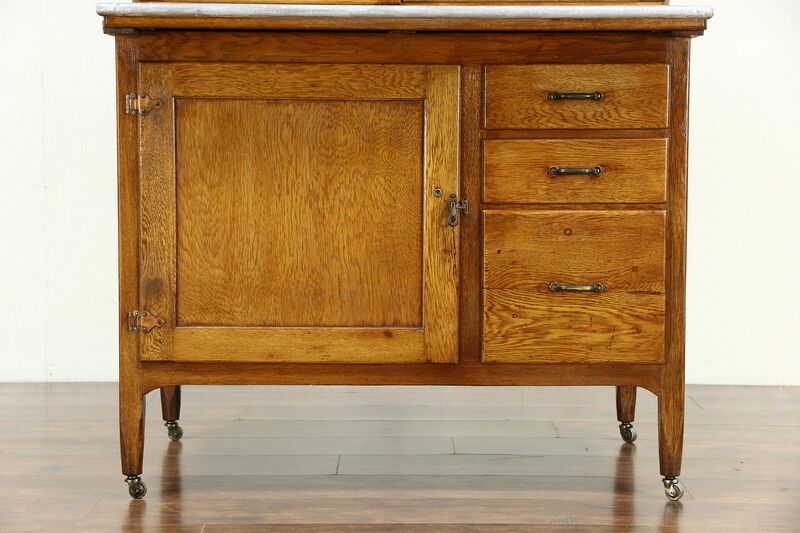 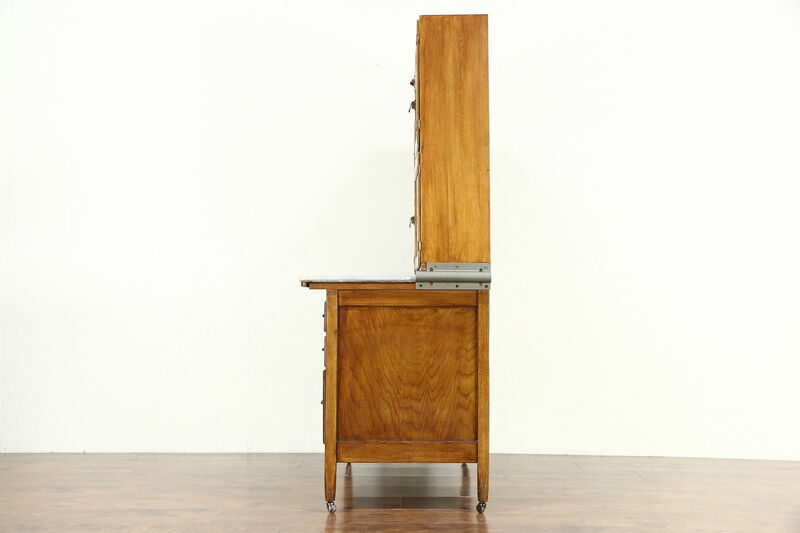 The renewed finish is in very fine condition on this American made antique from about 1910. 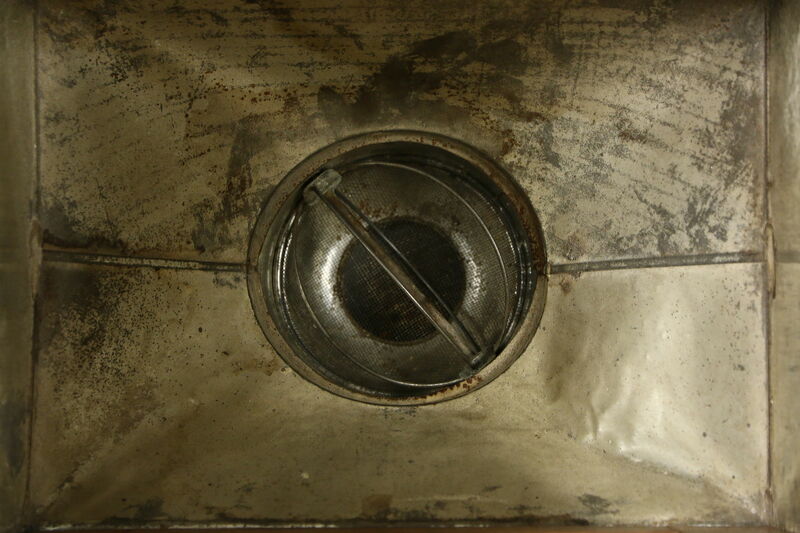 There is lots of wear on the pull out zinc top for a little character. 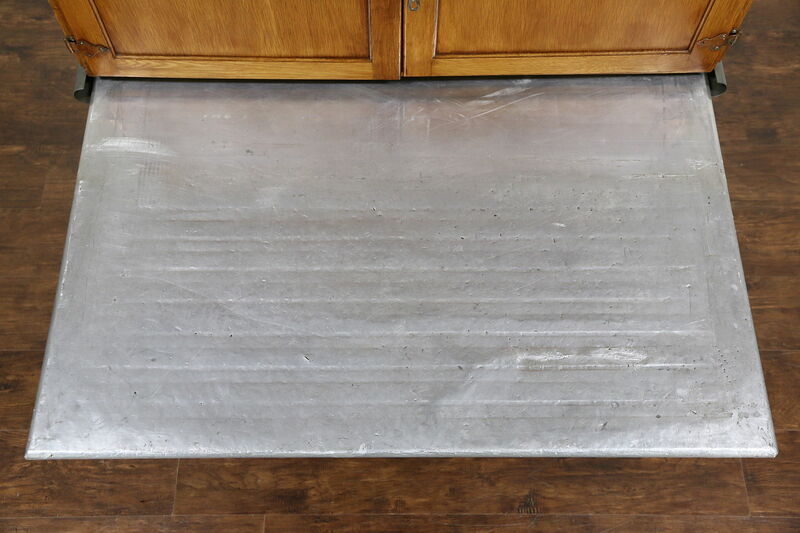 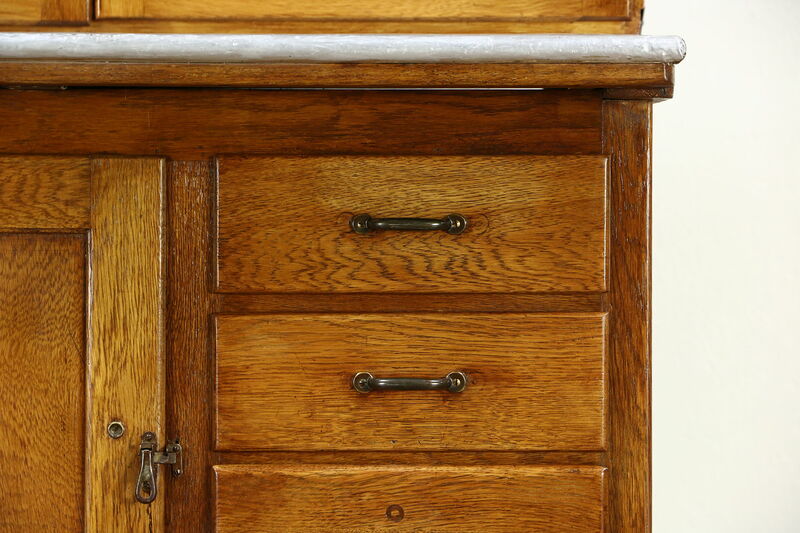 Coppery hardware is original and the covered bread drawer is restored. 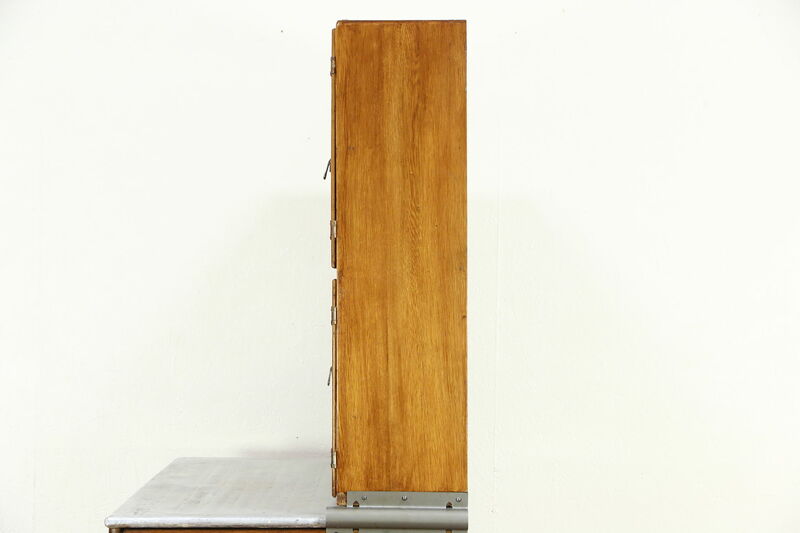 The upper section is removable for easier delivery. 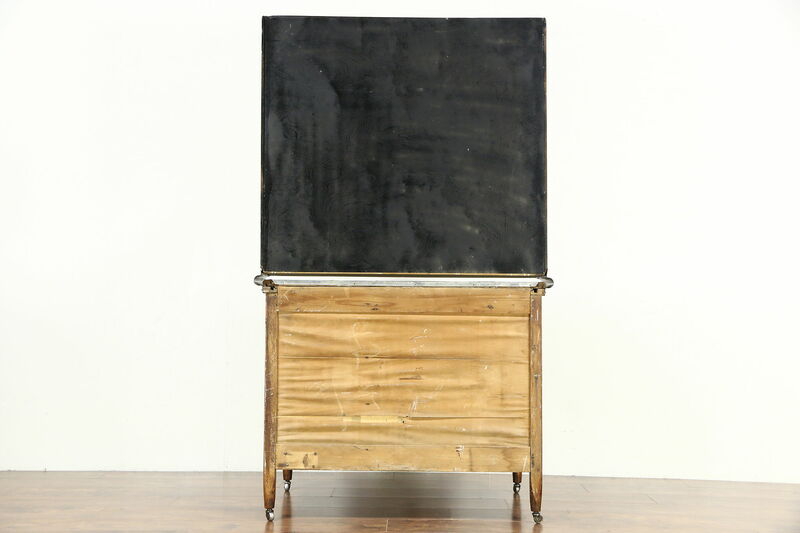 Dimensions are 42" wide, 27" deep, 71" tall and the work top is 34" high. 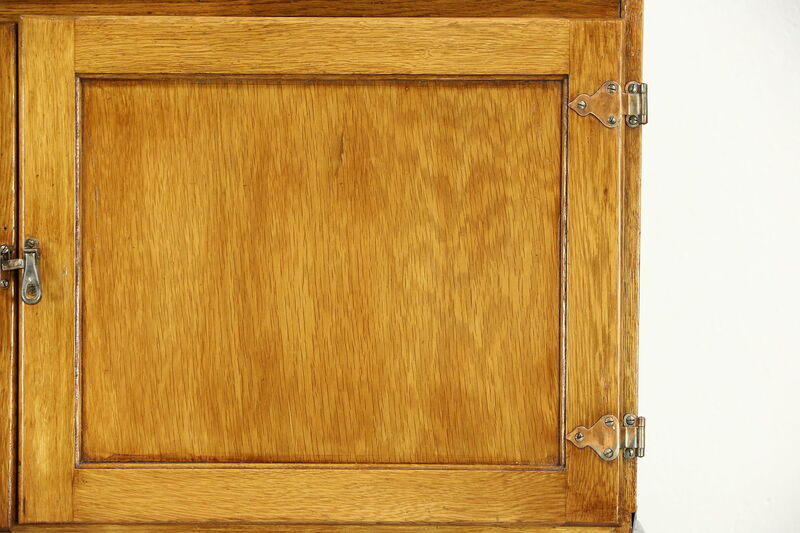 View 26 photos at full screen size for best detail.